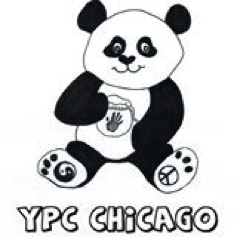 Elgin Community of Christ is in the process of setting up it's very own Young Peacemakers Club. We will offer bimonthly meetings to children of our community to come and learn about and celebrate peace. We will offer children a chance to: Imagine making a peaceful difference in the world as you turn conflicts into opportunities. Explore the differences and similarities of the human family while discovering The Rights of the World's Children. Discover the joy and power of feelings, and the many peaceful choices for expressing those feelings. We currently would like to recruit adults (18 and up) interested in joining us to head up this new and exciting opportunity to reach out to the youth of our area and help them discover a safe, joyful, learning environment that they can come to depend on to help them along in their journey. We take the phrase " it takes a village to raise a child" quite literally. If interested please contact Kate or John Kent. Thank You! for peace within groups of diverse people. helps children discover the wonder and beauty within themselves, where peace begins. Peace for the planet addresses planetary care and appreciation.